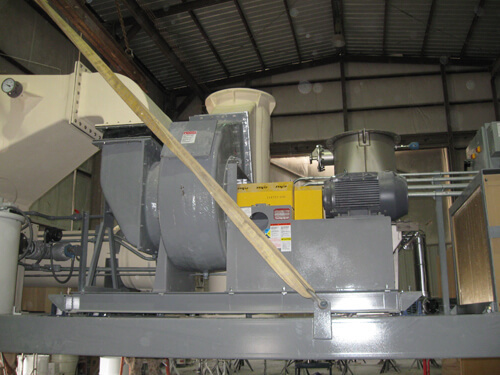 B&D Plastics, LLC was contracted by the pollution control industry client to undertake this custom process vessel manufacturing project. 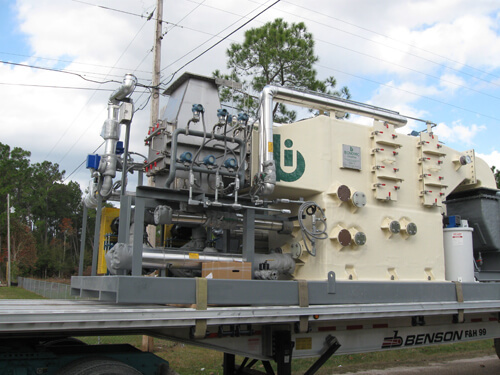 The vessel was designed to be used as part of a system for the treatment of landfill leachate using evaporation system. We were chosen due to the customer's confidence in our ability to produce the system turn-key with a fully integrated, portable skid mounted evaporator and scrubber unit. The vessels were hand lay-up on custom molds, and measured 8' / 6" high x 40' long, including pumps and process equipment. As part of our comprehensive process, we provided operating and maintenance documentation, installed all interface wiring, instrumentation and controls, and tested the system functions at our Ocean Springs, MS facility. The customer was very satisfied with the units, which they described as rugged, consolidated, and with fully integrated capabilities. To learn more about B&D Plastics and our capabilities, please contact us. 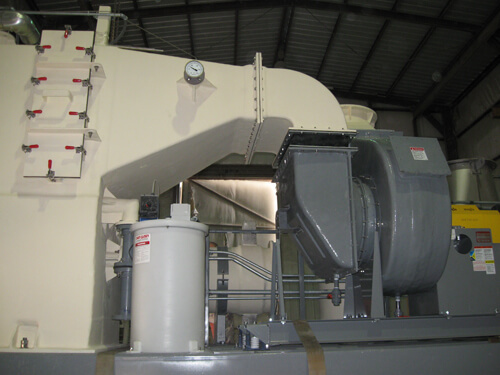 Process Vessel/Evaporator System Manufacturing This process vessel is used for the treatment of landfill leachate using evaporation and scrubbing system. This system is one of three that are currently being tested around the country with success.